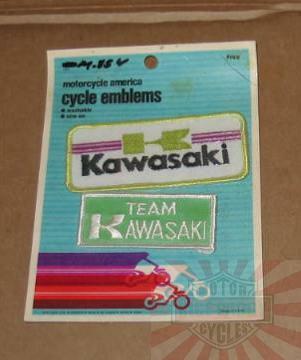 Kawasaki Team Patch / Patches X2 Vintage In Package! › Apparel › Kawasaki Team Patch / Patches X2 Vintage In Package! 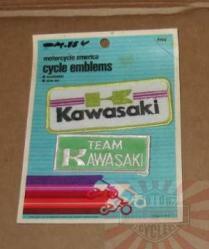 This is a package of twoKawasaki " motorcycle america cycle emblems " (washable!). Made in the USA, these patches are vintage 60's? 70's? They have the old logo! Very hip indeed.